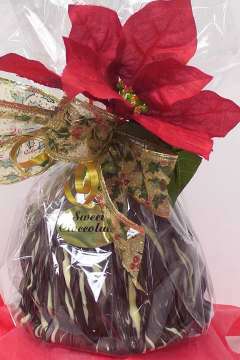 Gourmet Chocolate Carmel Apples made with creamy carmel, dark or milk chocolate and a choice of nut or candy fillings. 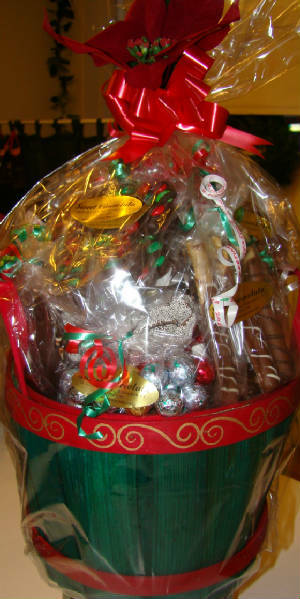 Custom Gift Baskets for any occassion. Choose the items yourself from our selection of chocolate carmel pretzels, chocolate dipped oreos, dark or milk chocolate bark, chocolate drizzled popcorn and more. Or just ask us to include our most popular items. Priced from $15 to $150 great for birthday, anniversary, holiday, thank you or get well.